Morpho Mardi Gras: Bugs, Butterflies, and Beads! at the Butterfly House in Faust Park during the months of February and March. Hours are 10am-3pm. 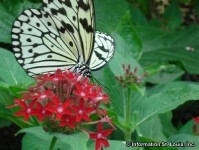 Admission is included with the regular Butterfly House admission. See website for more information.